Bite Me Café is a 24hr cafe that has a bunch of delicious food for those late night cravings. They offer wraps, breakfast, and appetizers. This cafe is a mellow spot and it’s easy to get in and out of, you’ll love it. The Virus offers an escape room experience for those with a little more experienced in this type of adventure (not the beginner types). The rooms are done really well. I recommend at least six people with you when you go because you have a bunch of tasks that need to get done in order to get out. If you are into thrills with a dash of claustrophobia this is your place! The Warner Brothers Studio Tour in Hollywood is right around the corner. The tour includes batmobiles, DC Universe exhibits, and soundstages where popular shows are being filmed. If you want to get a behind the scenes look at the Hollywood movie scene this tour will not disappoint. Maybe you like the outdoors? The Chandler Bike Path is a must see. You can run, bike, skate, jog, and walk your dogs here. The path goes from the west side of Burbank (just west of Victory) all the way to North Hollywood. The path is “flat as a pancake” as one rider stated and it’s worth every second of your afternoon. The Rink in Downtown Burbank is a family fun spot just waiting for you and your family to come enjoy it. Do you like to ice skate? If you go early in the morning it’s not very crowded. It’s $10 for 90 minutes of skating plus a $5 skate rental. They also offer a seal for kids to skate on for $6, that’s fun for the beginners. They offer early morning kids classes for $20 and that includes the skate rental. The staff is a bunch of fun too! Maybe some time at a park is something you’ve been craving… Check out Wildwood Canyon Park. The trail is a challenge and that’s great for you fitness fanatics. Parking is so easy that you may think you’re not actually at a park in California. This hike is long and hard so only the strong should apply. When you get to the top the payoff is the most miraculous lounge chair ever, as you earned every minute you will sit after such an adventurous hike. If you have an event in your future then you’re in the right spot. MGM Banquet Hall will take care of your entire event planning necessities. 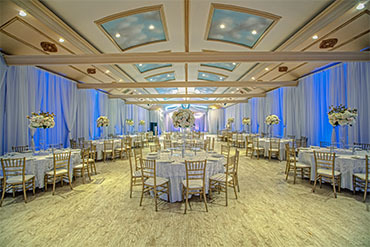 Our banquet hall is set up to accommodate quinceaneras, weddings, birthdays, and all sorts of celebrations. If you are a resident of Burbank or the surrounding cities, MGM Banquet offers fantastic event management and event planning services. MGM Banquet Hall is a professional establishment and we are known for our unforgettable wedding celebrations. If you are looking to celebrate or plan any type of event we can help with the most complex plans.